The Hungarian national broadcaster, MTVA, held a special press conference today during which it unveiled the 30 participants, the songs , the jury members and the hosts of A Dal 2019, Hungary’s national selection format for determing its Eurovision representative. As the previous years this year’s edition of A Dal while have 30 participants who will compete in 3 preliminary rounds, 10 acts in each round. Once the three preliminary rounds take place a total of 18 acts will qualify to the semi finals. 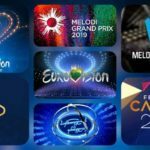 The 18 acts will split up in two semi final shows , 9 in each one. From the semi finals a total of 8 songs will qualify to the grand final. It has already been revealed that two additional prizes will be given as part of A Dal 2019. Awards will be presented for the song with the best lyrics and the participant as the best new discovery through A Dal. 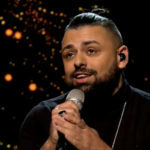 The winner of A Dal 2019 will represent Hungary at the Eurovision Song Contest 2019 in Tel Aviv, Israel. Among the 30 contestants we meet some familiar to the Eurovision family acts, such as, András Kállay-Saunders (as member of the group The Middletonz) who achieved a 5th placing for Hungary in Eurovision 2014 with his entry Running, Joci Pápai who brought a 8th placing for the country in Eurovision 2017 with his song Origo. The list includes several A Dal past participants who didn’t manage to win the golden ticket to the Eurovision stage such as Timi Antal (2014), Gergő Oláh (2015-2017), Bence Vara (2015, 2017), Olivér Berkes (2016, 2017), Petruska (2016), Kyra Fedor (2017), Leander Kills (2017, 2018), yesyes. Hosts of the A Dal show this year will be Freddie represented Hungary in Eurovision 2016 with his entry pioneer (19th place) alongside with Bogi Dallos who participated in A Dal from 2013-2015. On the other had the jury will consist of the 4 following members: Miklós Both, Misi Mező, Lilla Vincze, Feró Nagy.